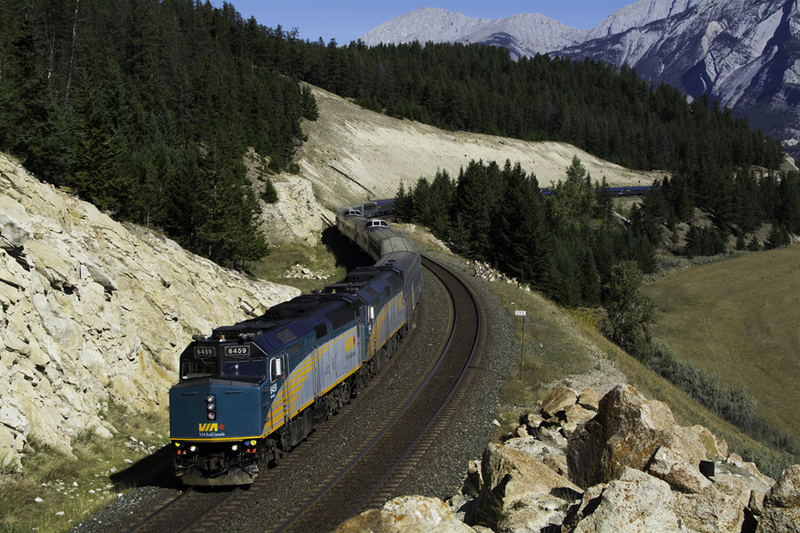 Railpictures.ca - Deane Motis Photo: The herd of Rocky Mountain goats are oblivious to VIA’s finest as it rolls towards Jasper. | Railpictures.ca – Canadian Railway Photography – photographie ferroviaire Canadienne. Copyright Notice: This image ©Deane Motis all rights reserved. Caption: The herd of Rocky Mountain goats are oblivious to VIA's finest as it rolls towards Jasper.